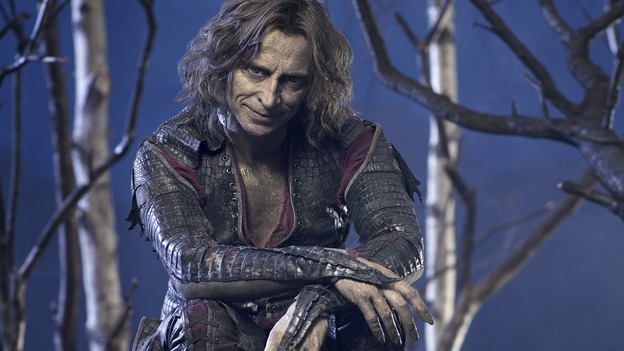 Rumpelstiltskin is my new favorite television obsession. 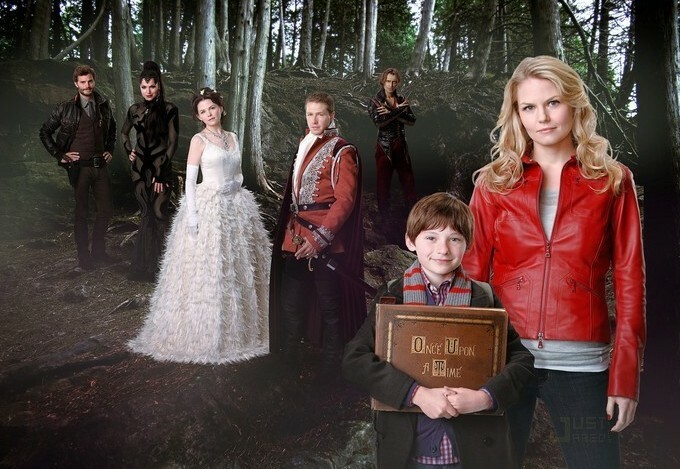 ABC's Once Upon a Time is by far one of my favorite shows on the air right now. What's not to love? All your favorite fairy tale characters come to life and all of their stories are inter-connected in a way that makes sense even if it's not traditional. Here's the plot in a nutshell: the town of Storybrooke is filled with people who are in fact fairy tale characters, but they don't know it. They were sent to our world by the evil queen, who believes Snow White is the root of all her problems. The evil queen is the mayor of Storybrooke and in complete control until Emma comes along. Emma is Snow White's daughter and has the power to break the evil queen's spell. 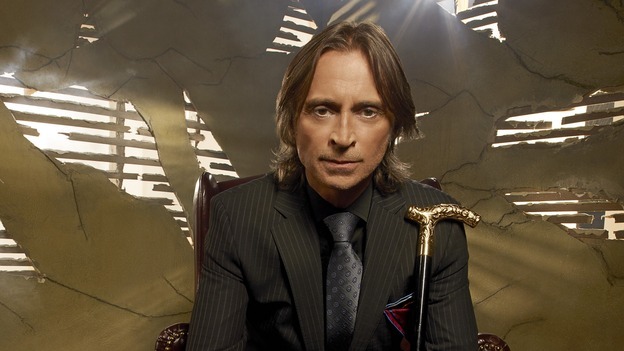 or Mr. Gold - lawyer, antique shop owner, lessor of nearly every building in Storybrooke and [spoiler alert] the one other person who knows about the queen's spell. Robert Carlyle's character is a piece of work, and I mean that in a good way. He starts out as a father figure trying to keep his son out of the ogre wars, but being nothing more than a spinner has little hope of saving his son. 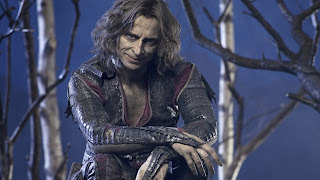 In an effort to save his only remaining family, Rumpelstiltskin kills the Black Knight and inherits all of his power - making him the most powerful person in the world. He makes deals with nearly every other character - deals for power, deals to forget, deals for anything you can think of ... but with Rumpelstiltskin, everything comes with a price, even for him. You watch his character turn into the corrupted Rumpelstiltskin we've come to know from childhood storybooks ... and you watch Belle nearly rob him of his power and turn him back into a mortal man, all with a kiss. He's funny, cynical, diabolical and so much fun to watch. I can't wait to see where his character goes in the series. If you haven't been watching Once Upon A Time, I highly recommend it. 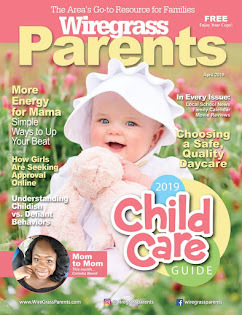 The way the writers wove all the different characters' stories into one plot line is truly amazing, and how they intermingle the fairy tale world with the modern world is sure to keep you on the couch. Haha! 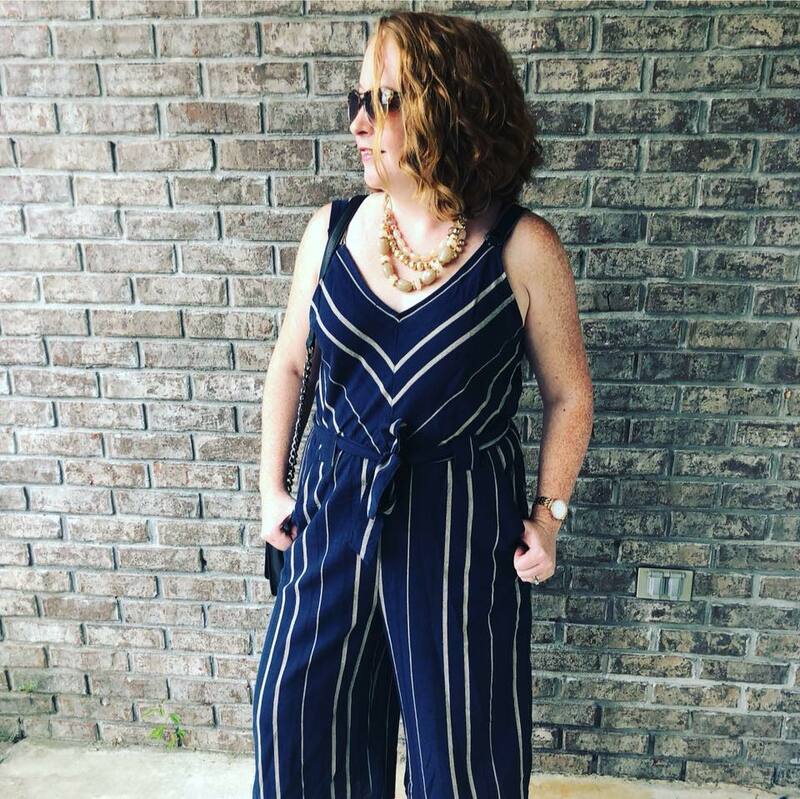 I also talked about obsessions on my blog!! I think I would watch this show if it's available here already. We sometimes get US TV shows late, which is annoying. But there are shows, too, that we get on time. I'm pretty sure you can watch them online at abc.com ... if it works over there. Sometimes they don't. OUAT sounds like a great series and I know that it has gained a fan following but I haven't made time to watch it yet. I am following Grimm and enjoying it very much. Do you watch Grimm? We haven't been, but I just found it on demand so I'll check it out. 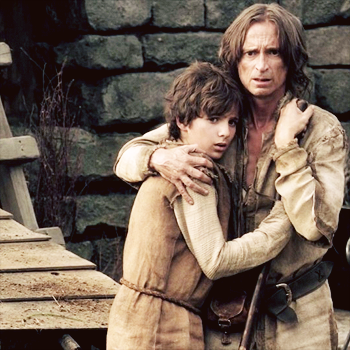 It seems much darker than Once Upon A Time. I tried watching the movie The Brothers Grimm but didn't like it. So glad the series is getting recognized...I was concerned about its ability to survive as it is a bit on the cerebral side but the fact that it spins through tales we all know seems to enrapture people. Their struggles for power, their struggles for love, their struggles for identity are no different than our own. Not all endings are happy, yet we live for those that are...and happy endings involve love in some form or another whether it be true devotional love or trust and faith.